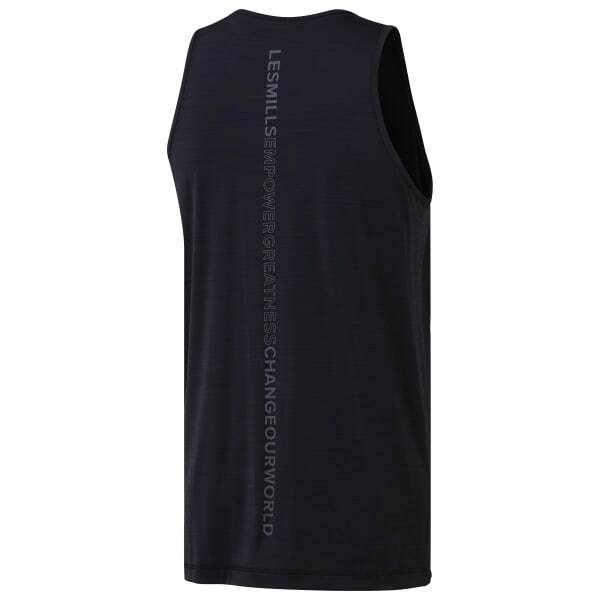 Sweat it out at the LES MILLS™ studio with this men's tank top. The sleeveless design gives your arms mobility for dance moves and combat motions. ACTIVCHILL fabric helps manage heat with each movement, and as your heart rate rises, Speedwick technology draws sweat away.